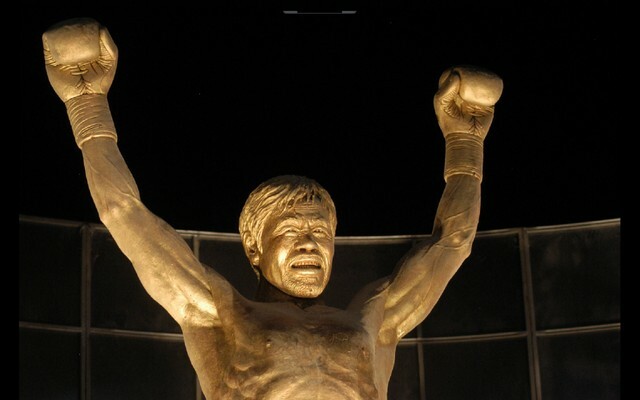 News: Manny “Pacman” Pacquiao statue at SM Mall of Asia | PinOy SPY! A 10-foot bronze statue of Filipino boxing superstar Manny “Pacman” Pacquiao together with the 8-foot bronze statues of a farmer, construction worker, nurse and a teacher were recently unveiled at the SM Mall of Asia (MOA). Nike Store at Santa Monica Place transforms 2nd floor into Pacquiao Gear Central. Later, Manny Pacquiao and Alex Ariza are interviewed by Laila Ali. Poreotics from America’s Best Dance Crew perform.